Now Gov. Cooper is asking the Council of State to postpone a decision on the DMV move to Rocky Mount. The State Employees Association and all Wake County legislators are opposing the move, and have heard concerns from current employees. Gov. 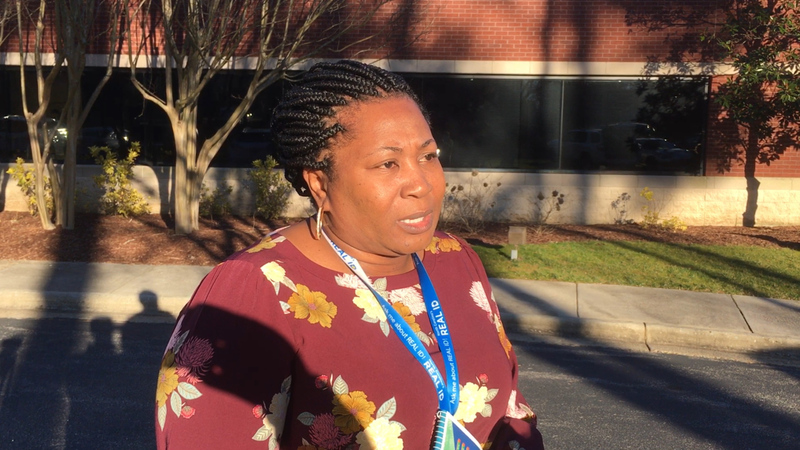 Roy Cooper has asked that the Council of State put off a decision on moving the headquarters of the state Division of Motor Vehicles to Rocky Mount to give more time to deal with concerns of DMV employees and Wake County legislators. This is real conundrum all around. On the one hand, nobody in Raleigh is going to want to move to Rocky Mount or make a god-awful commute to it every day. On the other hand, Rocky Mount is desperate for investment. It’s bleeding people and could use some infusion of investment and good news. Back to the first hand, it’s not fair to make lower paid government employees have to choose whether to endure a long expensive commute, or quit their jobs. There’s just no good decision for the people involved. I agree @John. Here is a thought. Maybe too advanced for the State. How important is it that ALL the employees in this part of the DMV be co-located in this day of technology? Could the decision be to rent flexible space in Raleigh and Rocky Mount and migrate from Raleigh to Rocky Mount over time (new folks (and those that want to) go to Rocky Mount and existing ones stay in Raleigh until they retire, etc.? Seems like a win win to me. Rocky Mount gets a piece of the action with miminal impact to the Raleigh staff. Just seems like things don’t always have to be one way or the other. It’s called comprimise (which requires a little flexibility and creativity). I can just hear all the stodgy state decision makers now. “That would never work because …”. Locating government workers in a particular location exclusively to help with a distressed economy doesn’t strike me as the best public policy. If the state wants to help Rocky Mount (as it should) then they should design policies intended to grow their economy. The state ought to be thinking about building a high rise downtown and leasing or even selling their properties to private developers. This location on New Bern Ave doesn’t strike me as being especially suited to a state government complex. 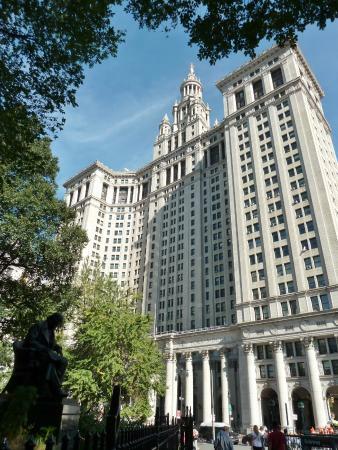 The State Government Complex could use an update in the next 40 years. It’s pretty outdated with several small 5 to 7 story buildings + the Archdale building. And the General Assembly building that looks like a really nice indoor flea market from a far. The whole complex screams decaying post-war modernist dystopia. In fact, why does NCDHHS need its own complex? Replace the buildings in the Halifax Complex with buildings large enough to fit DMV and NCDHHS. Buying land can cost tens of millions of dollars. Tearing down one of the building on Halifax Mall and replacing it with a 20 to 30 story tower would be cheaper. Boom, I saved North Carolina money by stating the obvious. Locating government workers in a particular location exclusively to help with a distressed economy doesn’t strike me as the best public policy. The decision was made purely on the lowest cost. It comes as no surprise to me that distressed areas that are desperate will ALWAYS win a bid if decisions are made on costs alone. Maybe the entire state government can now be dispersed throughout dying towns and cities across the state? That’s true, but several politicians are using the distressed communities idea as a secondary justification. I think because it sounds better than “we just pick the cheapest option” which sounds silly, as you point out. I think the city and state need to work together to revitalize the Halifax Mall. I like the concept of it for Raleigh, but the execution is terrible. Gov. McCrory’s project phoenix was a step in the right direction. This area should also be the designated area for any new museums and so forth. Properly planned, it could be our version of National Mall, albeit smaller. Its funny how my water bill is addressed to the city of Raleigh, but has a Charlotte mailing address. It’s an outsourced lockbox in Charlotte. Very common practice. The DMV should stay in Raleigh. There is certainly locations that can be both affordable and accessible to the current concentration of government agencies. I think the move will be somewhat of a loss for East Raleigh as the current DMV location provides somewhat of an anchor. The site could certainly be better utilized with greater positive impact. What are the chances that Raleigh or Wake County would purchase and redevelop this property into an affordable housing neighborhood? Not “The Hood” but an actual functioning neighborhood with ground floor retail and a mini grocery store. They could set a precedent for reducing the required parking since it will be located directly on the BRT line. The residents would be right on the transit corridor between DRT and WakeMed. I know it will never happen, but we can dream, right? God, I hope not. It will take 42 years for it to materialize. This property needs to (and will) go to the highest bidder as the State will want to piss those proceeds away and they will want as much as possible to blow! Not to mention that the city has a vested interest in it being financially productive from a property tax perspective. They are going to be paying over 2 million dollars each year for the lease…but claim its the lowest bid. It is in a flood prone area with mold in the building and lead paint. It just doesn’t add up. Very interesting. Take it with a grain of salt, though. Kind of flew under the radar but ABC11 posted an article about the City finally moving forward with the long overdue new New Bern Avenue sidewalk project (think Hillsborough Street) that will run all the way to WakeMed and the Greenway/440. I deal with this issue all the time when we are drilling wells. Folks never realize that the ROW isn’t their property. 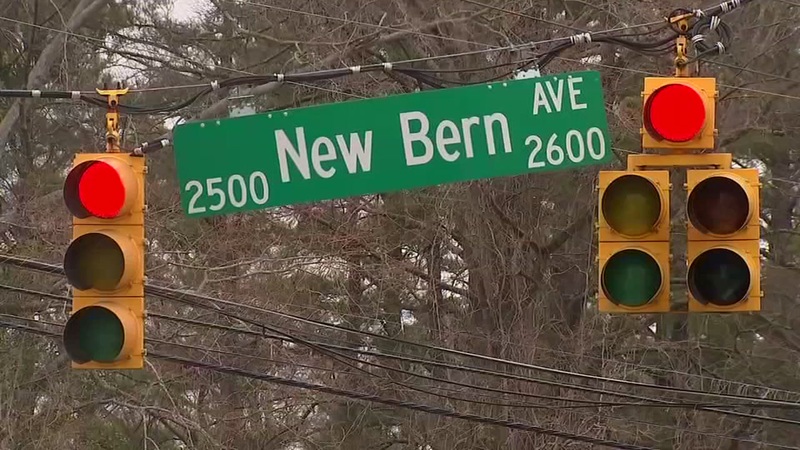 The Raleigh City Council has voted to move ahead with improvements along New Bern Avenue. Alamo Drafthouse will be pleased. Very awkward using the bus to get to and out of the movie theater because of the lack of pedestrian access.